Photo: The Neil Young room. The iconic Yorkville hotspot delivers whether you’re in the mood for comfort food or international fare. Must-try eats: You won’t want to miss the flavourful Spicy Salmon Tartare on crispy sushi rice cakes, crunchy Korean Chicken Tacos or the Steak Tartare featuring P.E.I beef tenderloin. 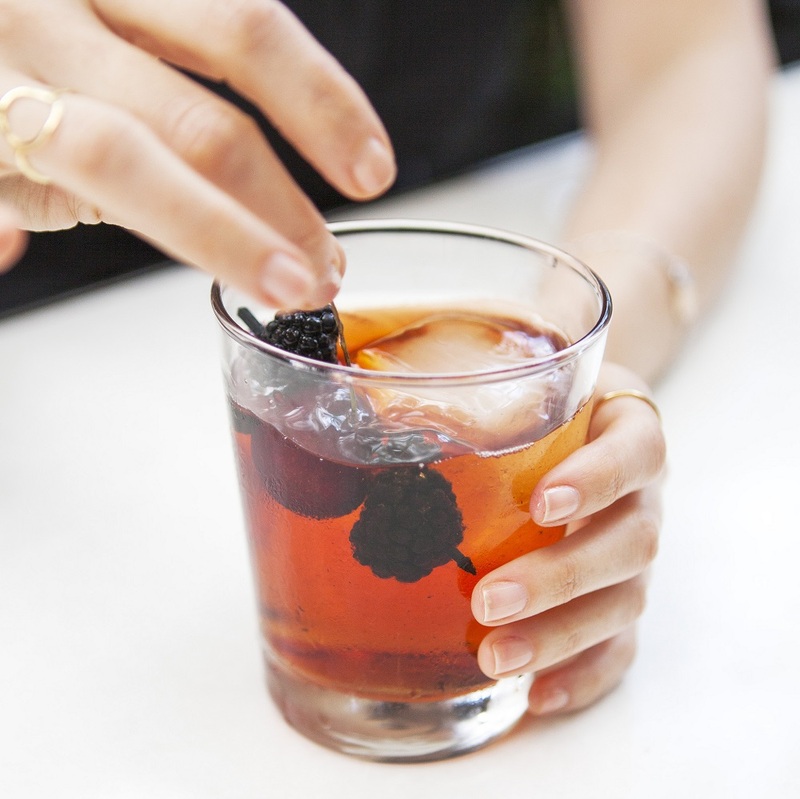 Libations: The light, gin-based cocktails are a must-try; there’s also a refreshing, fruit juice-focused mocktail menu. Where to sit so you’re in-and-out in 60 minutes: Ask for one of the bright, window-side tables in the main dining space for a great view of the room. The dining room designed by Yabu Pushelberg. 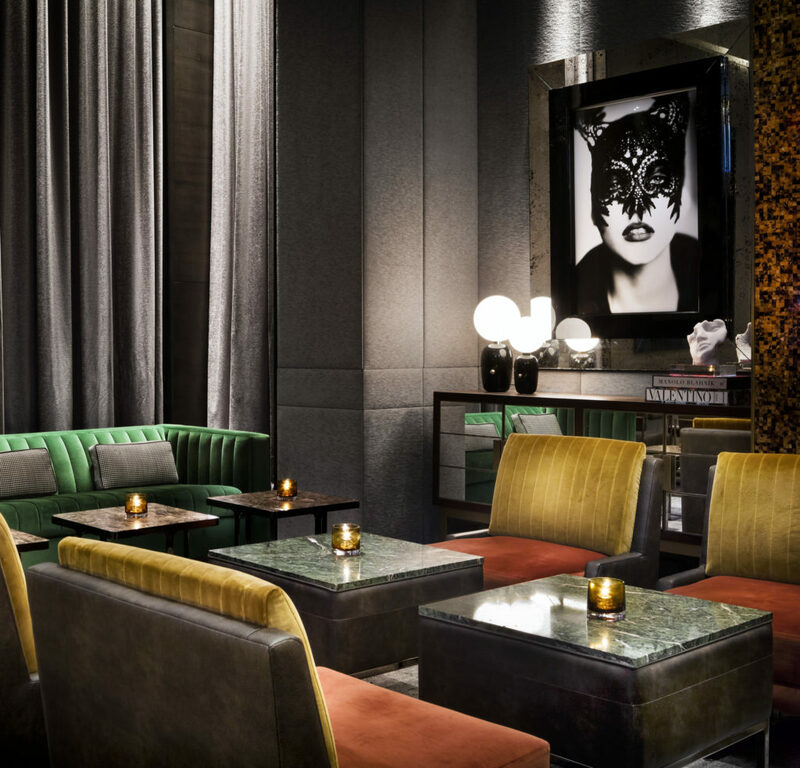 Set inside the luxurious Hazelton Hotel, ONE restaurant’s lush, moody interiors were created by internationally-renown design firm Yabu Pushelberg. 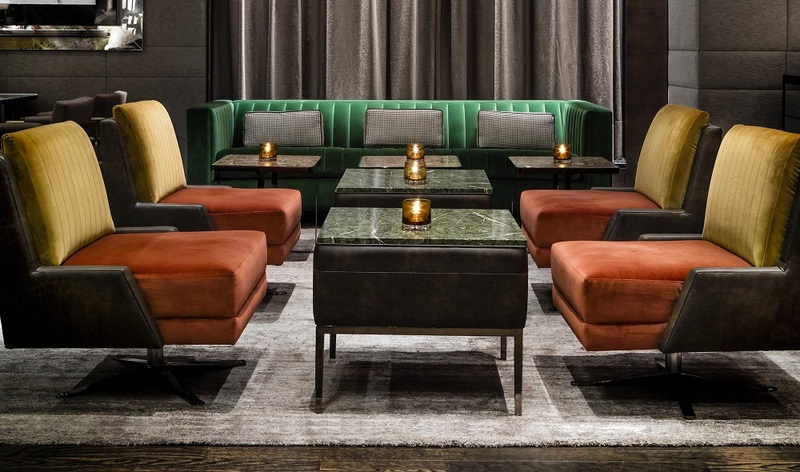 Textured pony hair walls, moody lighting and sleek, cozy furnishings upholstered in jewel-box hues create a welcoming but also luxurious setting, whether you’re in the 100-seat dining room or the elegant bar area. 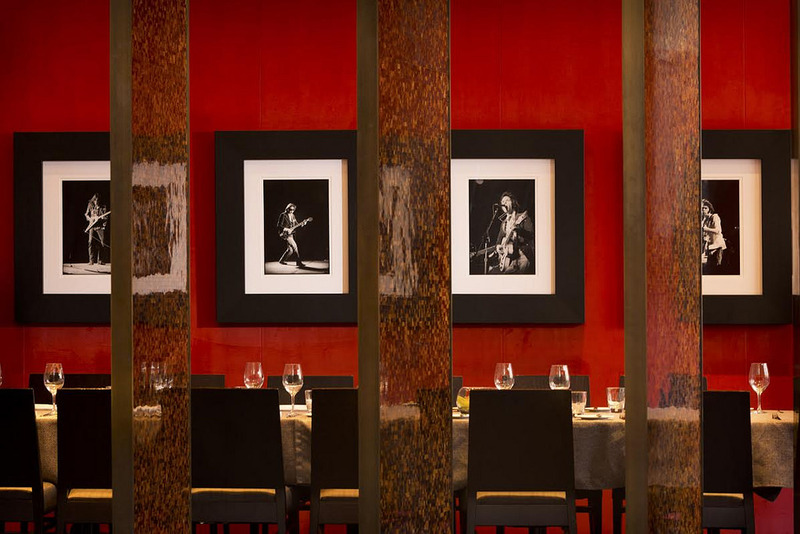 On any given day, expect to see power brokers in suits, the ladies-who-lunch crowd, and the occasional celebrity or professional athlete at the upscale Yorkville restaurant. During TIFF and Toronto Fashion Week, both of which include events in the immediate vicinity, the glamour quotient spikes significantly, particularly on ONE’s buzzy, see-and-be-seen patio. 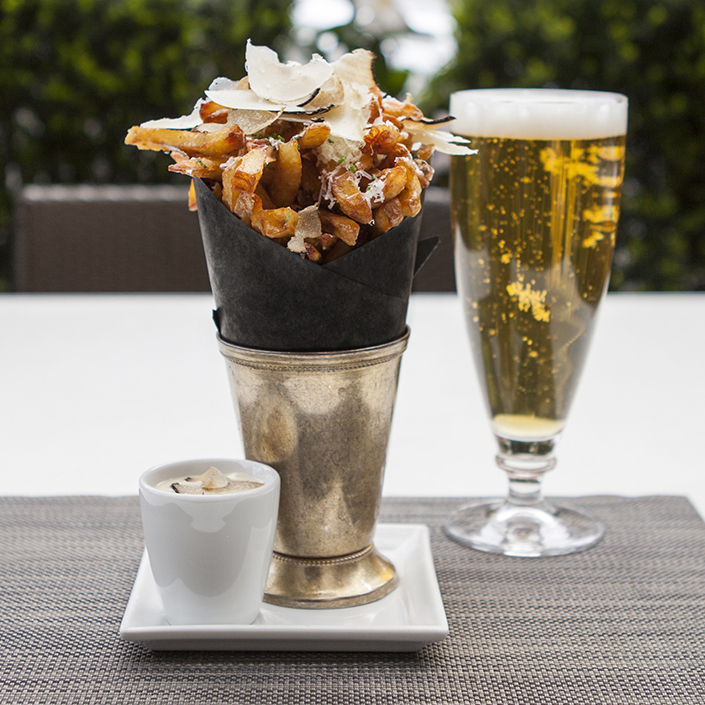 Frites with parmesan and truffle oil. 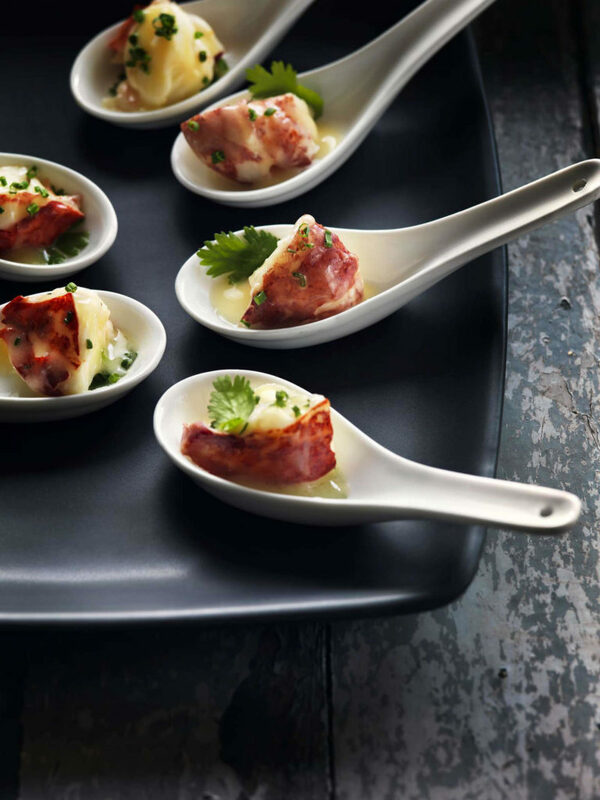 Nova Scotia Lobster spoons with vermouth butter. Under the direction of corporate executive chef Drew Ellerby and Chef de Cuisine Darby Piquette, the lunch menu offers modern takes — made with exceptional ingredients and deftly prepared — on comfort foods such as Chicken Pot Pie, Prime Rib Sliders and Turkey Club sandwiches. For the more adventurous palette, dishes such as the vegetarian Tandoori Squash and rich Spiced Eggplant with butternut squash Pad Thai can be enjoyed alongside the aforementioned Korean Chicken Tacos and tartares. And be sure to save some room for pastry chef Amy Tenn-Yuk’s sweet creations. There’s a house-made Oreo milkshake that’s served with warm cookies, and decadent trio of Boston Cream Doughnuts that come topped with honeycomb. The restaurant’s signature cocktails are always a popular option for diners, and there’s a wide-ranging selection of specialty tequila, whisky and cognac on the lunch menu, including Rémy Martin’s famed Louis XIII cognac, if you’re in the mood for something neat or on the rocks.